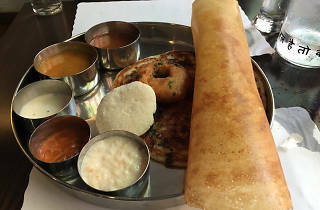 Serving the giant dosas, thick uttapam pancakes and thalis that Lexington Avenue’s Curry Hill is known for, this elegant newcomer brings kosher Indian delights to Greenwich Village. 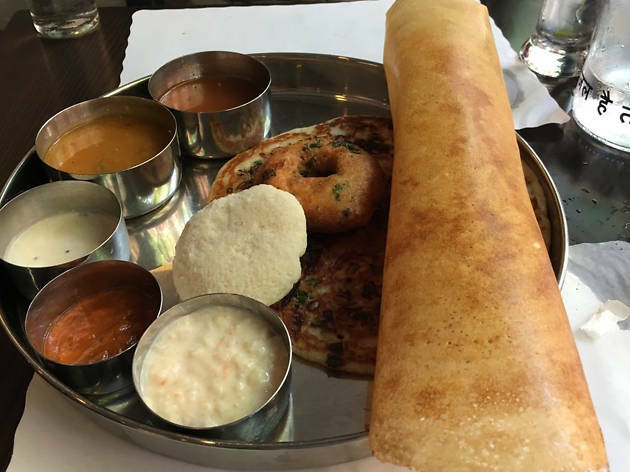 Of the former, try the Gunpowder Masala variety—the crepe’s normally mild potato filling is folded with smoky, spicy gunpowder chiles. The all-you-can-eat lunch buffet, served from 12-3 pm daily, is a steal at $11.95.